Surfer’s ears (also known as exostoses) take years to form, and occur with chronic exposure to cold water or air. It is common in swimmers and surfers who dip their ears in cold water, but it can also occur in patients who have a long history of ear exposure in other cold, windy, and wet conditions such as sailing, skiing, or windsurfing. What are the dangers of surfer’s ears? There are no immediate dangers for leaving surfer’s ears untreated. 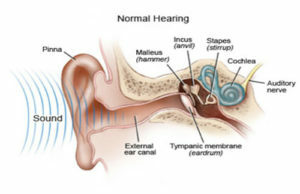 It is important to monitor the ear health and ensure that the growths are not progressing. However, symptoms will not resolve until surgery is performed. Surgery for surfer’s ear can be done after careful evaluation of the patient’s individual risks and symptoms. It is important to recognize that as the exostoses become larger, which happens if the cold exposure continues, surgery becomes more difficult, with higher associated risks. It is critical to consider surgery as the condition typically worsens with time and continued exposure to cold environments. Advanced cases of exostoses are much more likely to require surgery, and it is important to seek a trained otologist (an ENT who specializes in ear surgery) who has exostosis experience to perform the surgery safely.